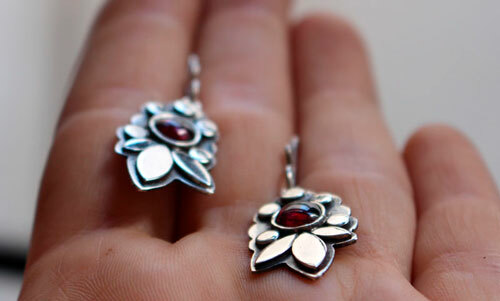 This pair of sterling silver earrings is named Camellia which was inspired by the color of these beautiful garnet cabochons. 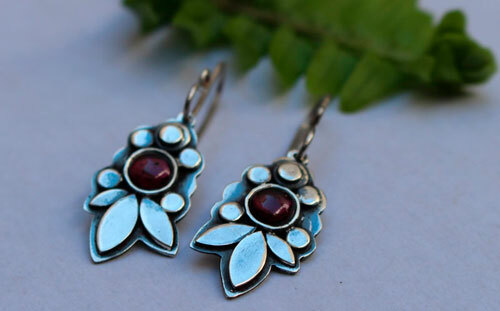 The Camellia is a small tree from Asia which symbolism varies from one country to another : it is a sign of welcoming spring, as well as a symbol of longevity and loyalty. 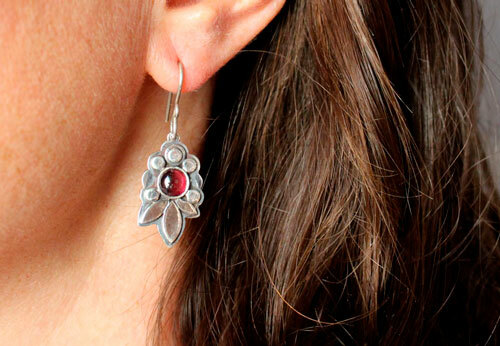 If you like flower details, this pair of earrings will be your ideal accessory. 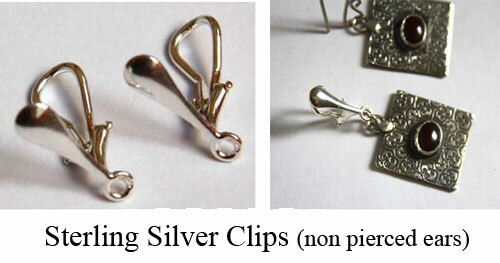 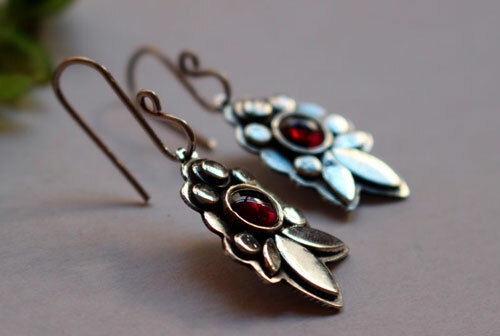 Length: asymmetrical earrings (3,9 cm and 4,1 cm) due to the artisan handmade nature of the creation and the free form cabochons. 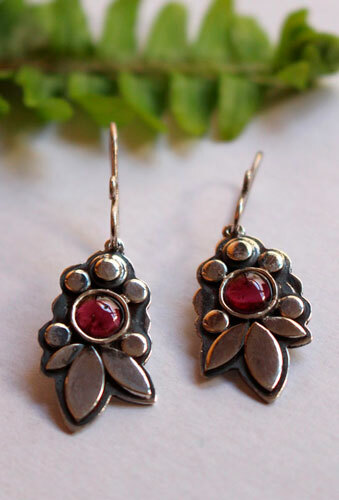 Tag: earrings, sterling silver, flower, red, cherry, garnet, cabochon, stone, oxidized, plant, botanical, spirit, freedom, boho, delicate, romantic, symbol, wedding, engagement, baptism, wedding anniversary, language of flowers, asia, shrub, spring, longevity, loyalty.